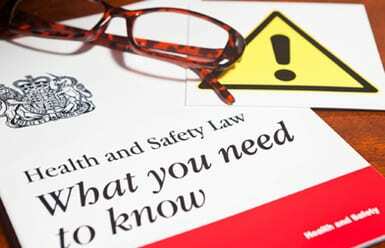 The Health & Safety Executive (HSE) wants input from organisations involved in manufacturing on its new draft plan on health and safety within the sector. According to HSE figures around three million people, 9% of the British workforce, work in the manufacturing sector and every year 27 workers on average are killed, representing 20% of all workplace fatalities in the country. The rate of fatal injuries in manufacturing is higher than in other sectors with the main causes including being struck by falling objects, falling from height or contact with machinery. Around 78,000 workers (3% of the total) are involved in non-fatal injuries, again more than other sectors, while around 86,000 (3% of the total) suffer from work-related illnesses. Known health issues include musculoskeletal disorders, work-related stress and occupational lung disease. Under a new workplace health and safety strategy entitled ‘Helping Great Britain work well’ the HSE has created 19 draft plans for individual sectors such as agriculture, chemicals, quarries, utilities, public services and manufacturing. The plans detail health and safety performance within each of those sectors, the top three priorities identified by the executive for the next three to five years and the actions the HSE proposes to take. The manufacturing sector draft highlights the emergence of robotics, 3D printing and the development of new materials as particular challenges within the sector and states the top three priorities as: controlling exposures to substances causing occupational lung disease; reducing incidences of common work-related illnesses; and preventing incidents involving heavy loads during maintenance activities and catastrophic events. The draft plan is available here and feedback can be given by becoming a member of the HSE’s ‘Helping Great Britain work well’ LinkedIn discussion group as well as on the #HelpGBWorkWell Twitter thread. BPIF health, safety and environment advisor Mandy Robson said as an organisation there were currently no plans to contribute feedback. “I’d say the HSE Sector Plan is so high level, it’s very difficult to make comment and the points would potentially cover all legal requirements and also best practice requirements,” she pointed out.